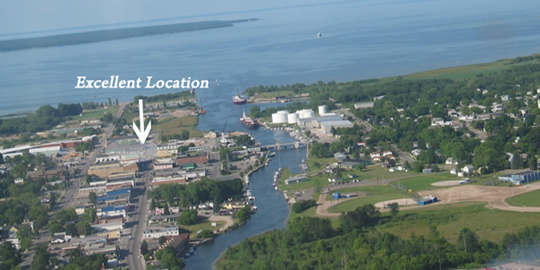 Open year round, the Continental Inn is conveniently located in downtown Cheboygan, only 15 minutes from Mackinaw City and 30 minutes to the casino. We are walking distance from the city Marina and boat launch, City beach and playground, with view of Mackinaw Bridge and Mackinac Island. There are several Restaurants, Pubs, Movie Theatre, Opera house and shopping, all within 2 blocks. Along with the great location you can enjoy our heated outdoor pool, relax in our spacious air conditioned rooms, and even bring your pet along. 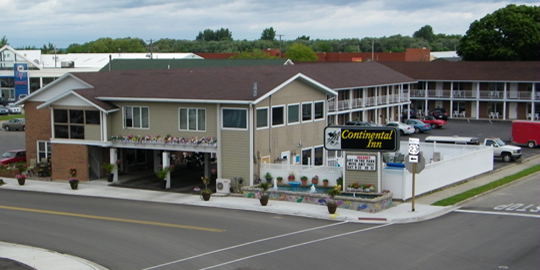 See what there is to enjoy at the Continental Inn of Cheboygan.